Please follow us on social media and like our posts to promote orienteering. To stay up to date with AOA news, events and to receive some interesting, relevant information please connect with us. Join us and support the orienteering community with your attendance! For more info visit the event Web site. Register before AUGUST 31st for regular price. Please visit the Volunteer sign up sheet. This workshop is designed for the community coach who is introducing the basic skills of orienteering. No prerequisites required! For example, anyone volunteering in a club junior program would benefit from this workshop. More community coaches are needed in the junior programs due to growing numbers. If you are interested attending the community coach workshop check out the AOA website for more info to come later. AOA Casino in Calgary on February 24/25, 2018 - Save the date! Congratulations to all 19 EOOC and FWOC members attending the Westerns organized by the Manitoba Orienteering Association in Spruce Woods Provincial Park. I have seen the map and it looked very hard and probably great stories will be told about this super technical terrain. The area covered by this map was true wilderness. There were no man-made features, just contours, and vegetation. It is a labyrinth-like area which requires very accurate navigation. We hope you all had a great time and big kudos to everyone who took home the Gold medals: Justin Astridge -FWOC, Don Bayly -FWOC, Geraint Edmunds-EOOC, Einar Viddal- EOOC, Kylie Astridge-FWOC, Robyn Astridge-FWOC, Robert Gilchrist-EOOC, Carmie Callanan- FWOC, Angela Pearson-EOOC, Don Scott-EOOC, Stirling McMillan-FWOC. Other medals were won by Greg Yarkie - EOOC, Mary Lou Hogg - EOOC, Marilyn Edmunds - EOOC and Don Riddle - EOOC. 17 people from Alberta traveled east to take part in the ECOC in Montreal. The Ramblers Orienteering club did a great job organizing it in the heart of a big city. Many podium finishes:1st Winn, Gavan-FWOC; 3rd Winn, Ewan FWOC; 2nd Yarkie, Greg EOOC ; 3rd Edmunds, Geraint EOOC; 1st Einar, Viddal EOOC; 1st Scott, Don EOOC; 2nd Winn, Teresa FWOC; 2nd Owen, Marion FWOC; 3rd Jones, Kitty FWOC. 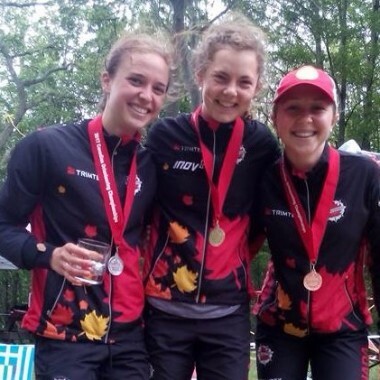 The 2017 Canadian Orienteering Championships wrapped up with lots of results for Alberta, but the most important, there were great memories made for many participants. Thank you to the organizers and volunteers for doing such a fantastic job. 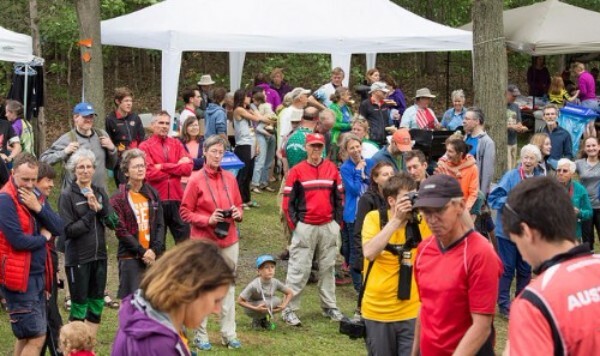 From the pictures I could see lots of smiles, happy competitors and also a big orienteering community gathering to share and enjoy the passion that drives the sport forward in Canada. Geraint Edmunds from EOOC collected three gold medals in 65+ as well as Don Scott in the 85+ categories and Einar Viddal with two gold. It seems like these men made no mistakes this weekend. How amazing is that? Also, the ladies were taking their share: Kitty Jones with two gold and a bronze, Marion Owen one gold and two bronze and the HP girls Tori Owen and Emma Sherwood joined in with podium finishes also. 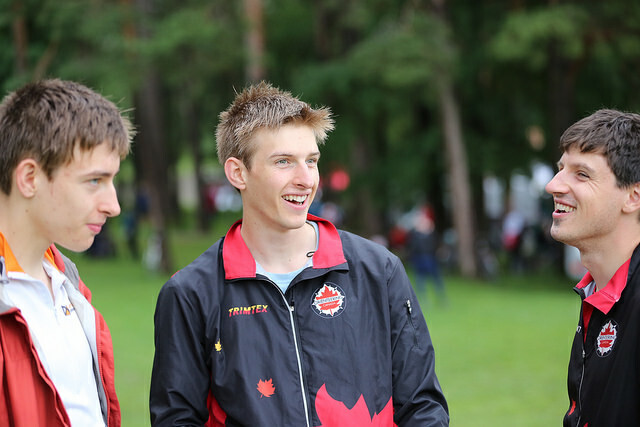 It is super exciting to see some of the young Juniors becoming strong racers and enjoying the big events. The Winn brothers Gavan and Ewan finished with one gold and two bronze each. Also, Michael and James Campden did well too. There were much more great results by FWOC and EOOC members, and Alberta was well represented in most categories. Of course, we would love to see this trend to continue. Please keep doing what you are doing and let us know how we can do more to support you. Do you enjoy reading event blogs? All the event results links for this season can be found on the AOA website. We were excited to follow our young athletes at the Finland Junior World Championships with more than 160 participants from all over the world. Emma Sherwood and Michael Svoboda, both had some good days and some with mistakes, which are all great opportunities to learn from. Emma's best event was the long which is great to see regardless of her busy schedule with full-time school at UBC. Michael's best day was the A final qualification for the middle and 37th place in the A final. Michael also had an impressive 6th place finish on the Bohemia Orienteering International 5-day Orienteering Event with a silver medal on day 2. Unfortunately, Darya Sepandj could not participate due to injuries. 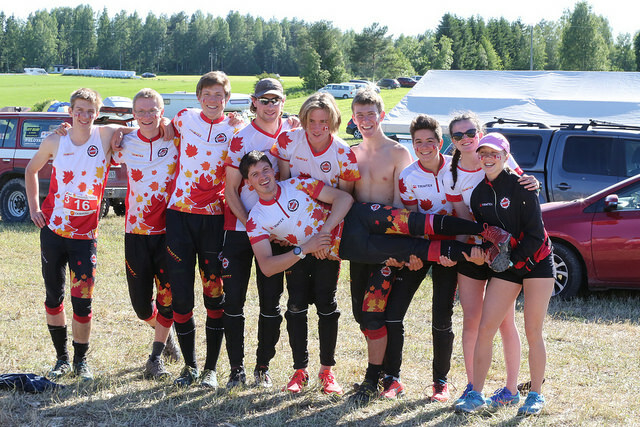 The Canadian team had a good presentation of the Canadian spirit at the World Games in Poland. It was great to watch Tori's smiling interview as the first person crossing the line. It must have been nerve racking to be the first person to start on the courses.Here are the Canadian results from the middle/long at the World Games:Tori Owen – 35/36th., Damian Konotopetz – 28/33rd, Will Critchley – 36/37th. 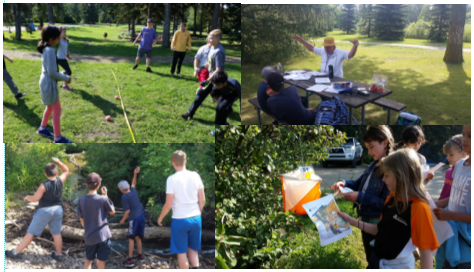 Orienteering Summer Camp in Edmonton = great success. Kids Run Wild hosted Summer camps again this year. The kids had a blast being outside, playing games and learning more about orienteering. Kudos to the team who delivered it! KRW and SOGO are ready to have fun! Do you know someone who might be interested in these programs? Please spread the word. Nothing is better for marketing than a personal recommendation. 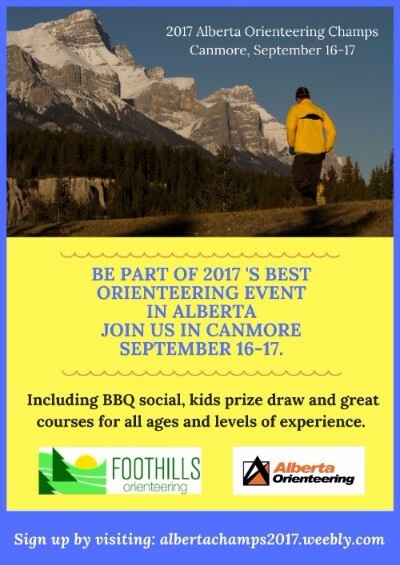 Just a reminder about AOA's dedication to optimize the development of Alberta orienteers as athletes and leaders in the sport and to raise the profile of the sport. Please remember to apply by December 1st. Visit our website to find out the details. "I am super stoked about my result in the Middle yesterday, for it was a goal that I had set out for and reached. I wasn`t expecting such a high result, but from my placement and analysis, I can see clearly where I am at, and what my potential is for the next two years. My training this year had been focused around the sprint, with very little forest runs over the winter. Focused on high-speed navigation, over a short distance, the middle race suited me quite well this year. The qualifier was very simple technically, but I was fast enough to qualify with a clean race. In the final, I gave it my all into every hill and every portion of the course that I knew where I was going, and was actually orienteering overspeed, hence accumulating two 30 second mistakes. These were most likely worth it, because I ran the rest of the course at a pace that was much faster than my normal pace where I wouldn`t make mistakes. The next day on the sprint I couldn`t run at my normal race pace at all, and was unfocused due to that, making a very silly mistake with a consequent disqualification. Yet it is a lesson learned for me, as I had been training for only one short run at full intensity, and I managed two (quali, and final) with the third showing where I lacked stamina training during the year. Overall I am extremely happy with my result, and aim to work off of this in the next two years, with my goals set on a medal in either Hungary or Denmark!" 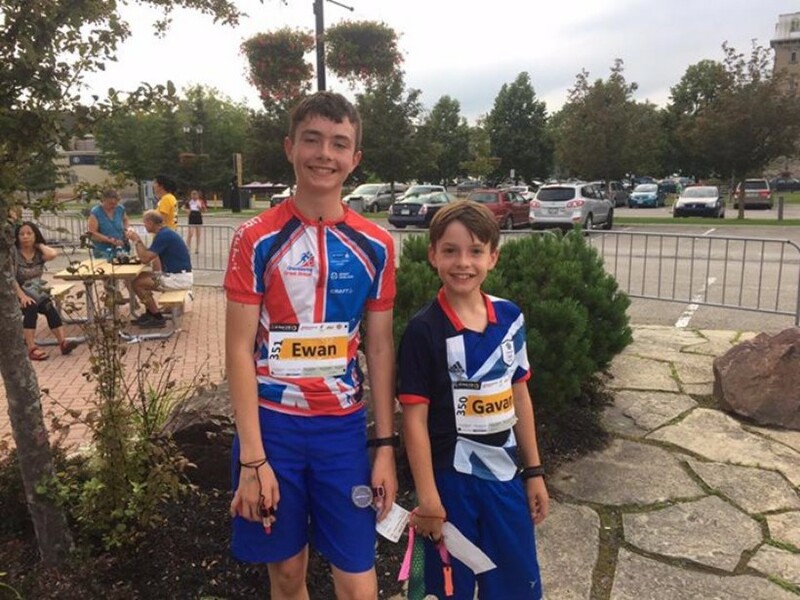 Having two keen orienteering boys in our family, we decided this summer to head out East to take part in the Eastern Canadian Championships in Montreal, the Sass Peepre training camp in Morin Heights, Quebec and the Canadian Orienteering Championships in Perth, Ontario. We spent 12 days, orienteering and being tourists, taking in the different cultural flavours of Montreal, Ottawa and Perth. Mom (Teresa) and Dad (Jonathan) both competed as well as the boys. It was a fun, active and sociable trip. "I liked at the Canadians that the trails had a lot of dead leaves on them so when you stepped the leaves would absorb and wouldn’t hurt your feet. "I liked that they had a lot of snakes at the Canadians. “On therelay I liked that it was really easy and fast"
Ewan: "What I liked was the difference in terrain every day, each day was different from the previous one and it was different than around here. For example, the trails for the long and middle of the Canadians were very rocky. The long of the Easterns had rocky bits on the trails but the rocks were smooth. The Canadians had rock fields and rocks were poking all over the place on the trails. "I found the forest different from here - it was very open and there were more deciduous trees so it was easier to run and hard to make mistakes, but you had to be careful about route choice as I got carried away going around on the trail when I should have cut straight across. "At the relays, our team was last after the first leg as our runner had got lost, then I made up a bit of time and our third leg runner made up a lot of time." What should people know about our trip: "It's very fun.”say Ewan and Gavan. Personally what I enjoyed about orienteering at the championships and the training camp was running on totally new (to me) unfamiliar terrain. I like that extra bit of excitement that it brings. Also, all the socializing with old and new friends at the events, the training camp and at the campsite in Perth. I also loved the hot buttered corn cobs we got at the finish line for post-race refreshments. The terrain was certainly very different from what I have seen of Western Canada. I found the terrain at the Easterns a bit more like southern England, where I learned to orienteer - lots of trails. But the bits in between the trails could be quite tricky. The terrain at the Sass Peepre camp was a lot more hilly but very runnable forest with huge boulders. At the Canadians, the rockiness underfoot was most memorable, but some areas of the maps were not at all rocky. I found it challenging to navigate and still very enjoyable. I even ran off the edge of the map twice in the long course (not on purpose), but thankfully managed to gather myself together and finished the rest of the course. All of the arenas had a great atmosphere, with continuous announcing and spectator controls, especially the sprint where, standing by the finish chute, you could watch orienteers running all around in all directions. You could see participants multiple times during their course as the courses crossed the arena area this way and that. The relay at the Canadians was a really exciting and fun finale to the whole trip. Our Calgary club FWOC had several teams with a mixture of young and old and more and less experienced orienteers. The second of three legs was a course 1 standard, so perfect for our younger participants, who posted some pretty fast times. The other legs had some trickier parts and a few of us managed to get a little lost keeping our teammates on tenterhooks wondering when we would reappear out of the forest. All in all great fun. And now we are looking forward to the next big event the Alberta Champs in Canmore next month. Hope to see you at the Alberta Championships!